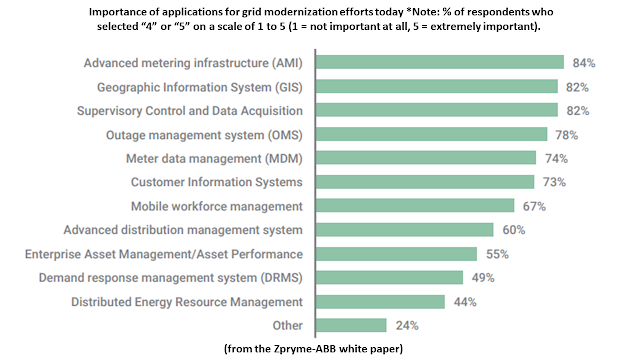 After a decade of investing in grid modernization, utilities are more efficient, innovative, sustainable, and customer focused than at any time in their history. 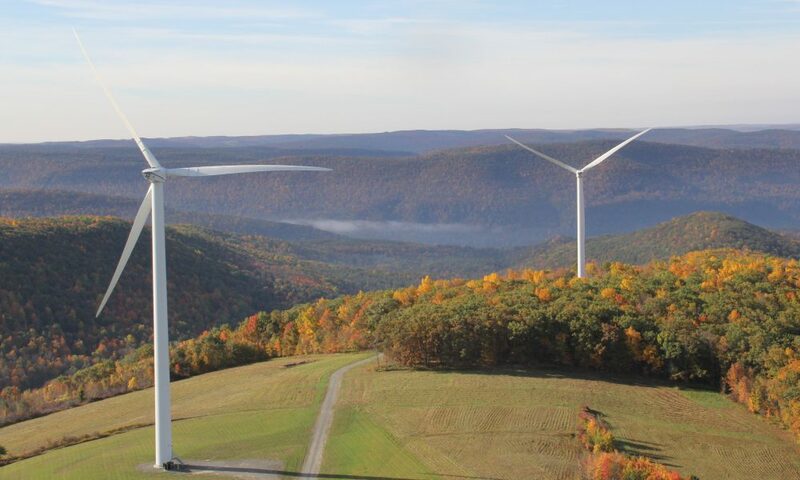 Modernization through the deployment of sensors and smart grid technology has laid the foundation for a digital transformation of the power industry. This digital conversion is creating a new business model for utilities, allowing them to become flexible service operators capable of managing an increasingly complex grid. However, to secure long-term financial success, additional investment in communication networks, grid automation, IoT devices, distributed energy integration, and artificial intelligence (AI) is needed to fully optimize the increasingly “intelligent” grid. A digital utility will be transformed from a 20th century analog business to an enterprise that can communicate, monitor, compute, and control grid and customer operations with real-time intelligence and situational awareness. This computer-based modernization will allow for automation to enhance grid control and stability that improves decision-making, safety, security, sustainability, and reliability. A digital utility will be customer-centric, resilient, automated, and hyperconnected with collaboration between AI and human processes. Digital utilities will tackle the business challenges of aging infrastructure, a regulatory system in flux, distributed energy resources, and the convergence of information technology and operations technology (IT/OT). 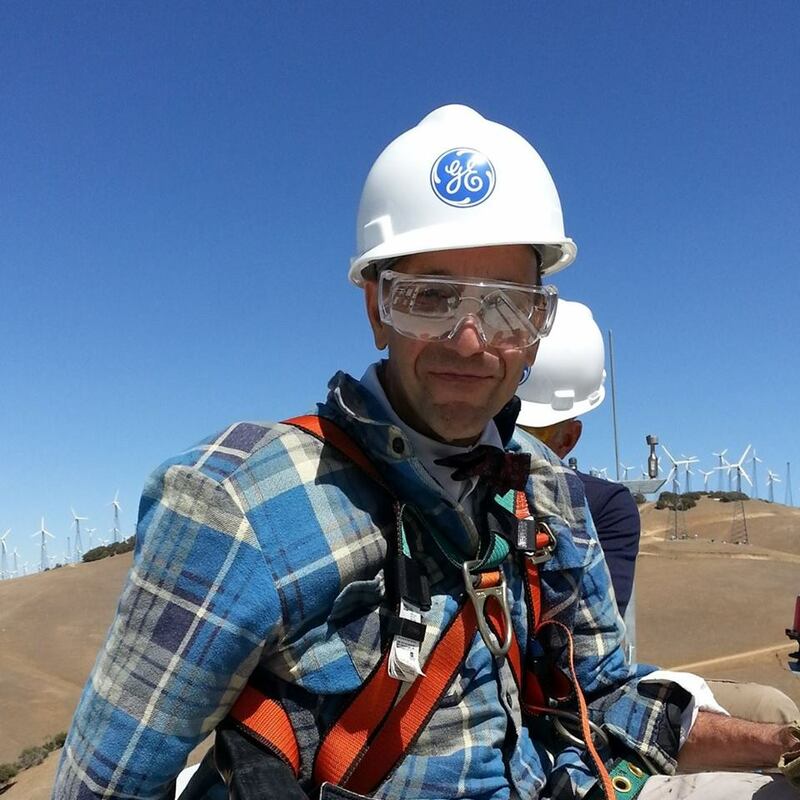 How should the industry track the progress utilities have made toward digital transformation? 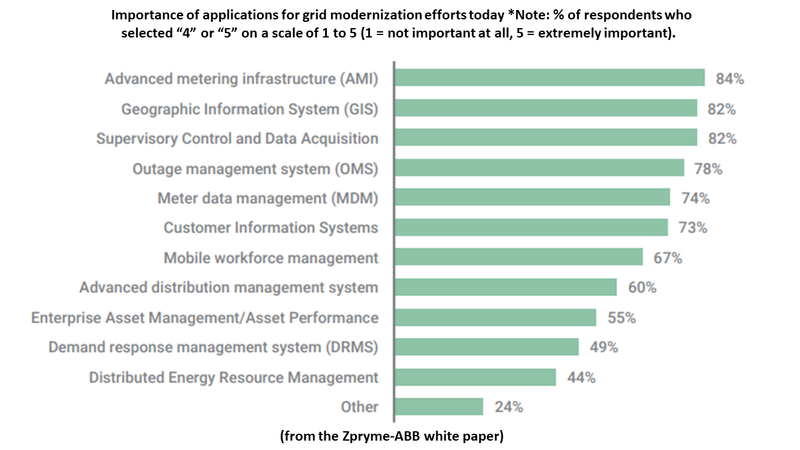 What are the steps utilities should take to modernize? In this report we present a Digital Maturity Curve and evaluate how prepared the industry is to move up this curve. Zpryme surveyed 150 utility industry professionals to understand their perspectives on digitization, digitalization, and enterprise integration. 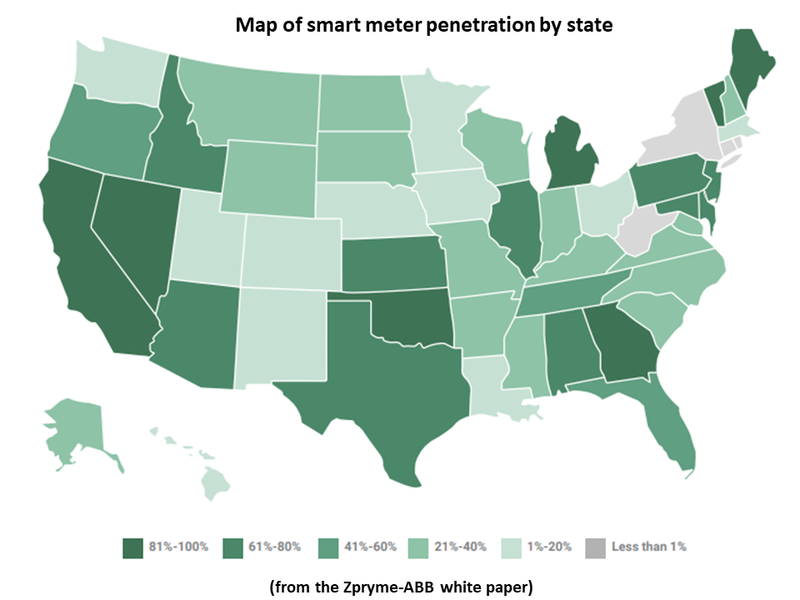 This report explores the stages involved in becoming a digital utility and the progress the industry is making toward building the digital grid. 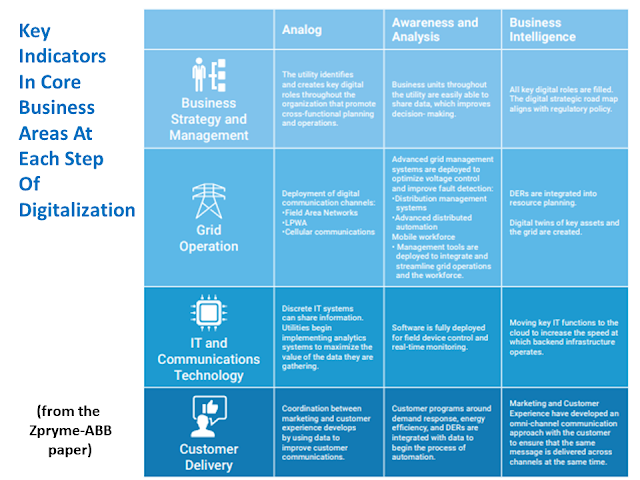 Understanding how the broad spectrum of digital technologies will impact utility business applications (business strategy, grid operations, IT and communications, and customer service) and transform the grid is essential for the industry’s long-term viability. • 91% of respondents report that embracing digital technology is crucial to the future success of their utilities. 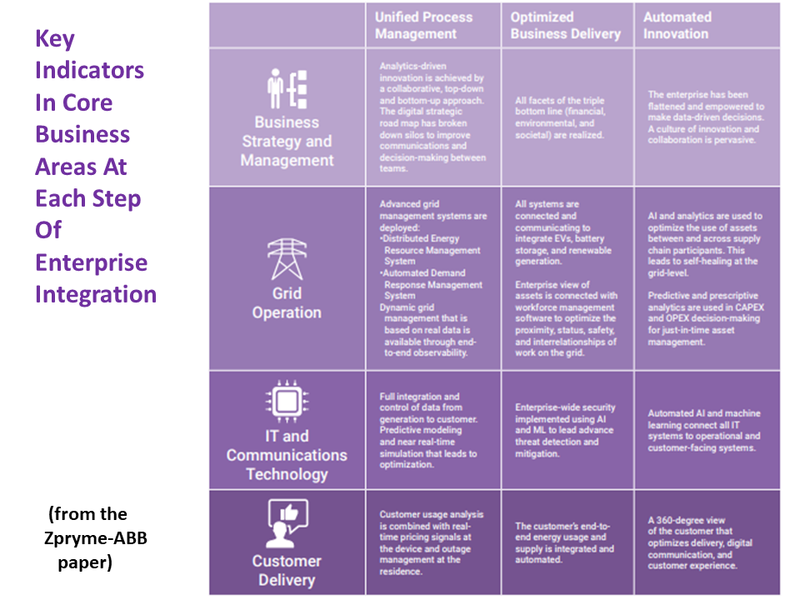 • Only 23% of utilities have reached a level of digital maturity where they are making capital expenditure decisions based on predictive analytics. • In the next 3 years, 76% of utilities expect to be able to align digital strategy with regulatory policy and fill key digital roles in their enterprise. The digital maturity curve is a vision and framework for how utilities can effectively modernize to meet regulatory and business challenges. There are three major stages on the path to becoming a digital utility: digitization, digitalization, and enterprise integration. Each of these stages has three steps that help utilities define and understand the technology, systems, people, and processes that can be deployed to effectively modernize. Throughout this paper and our corresponding interactive infographic on the maturity curve, we will delineate the criteria found at each step and the stage as a whole. Furthermore, through survey data we will show the progress the industry is currently making toward modernization. 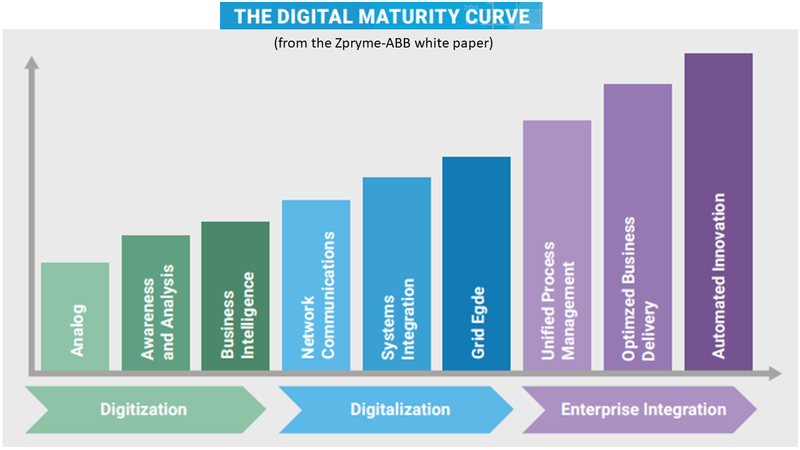 The Digital Maturity Curve will help power industry professionals create a common vision for progress on the journey. An individual utility can use the curve to self-assess what priorities it wants to focus on to achieve the right level of maturity to meet business objectives, regulatory requirements, and customer expectations. For utilities to measure the progress they are making from step to step as they move through the three stages, we have established four core business areas that enterprises should focus on. 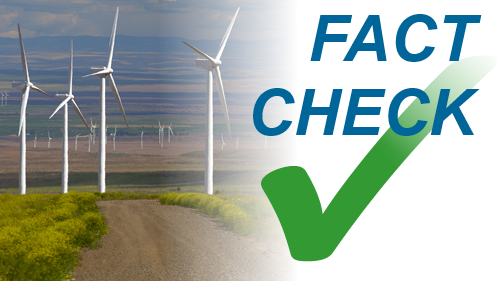 At each step there will be certain defined characteristics, technologies, processes, and capabilities that would indicate a utility has reached this step. Utilities can measure their progress in each of these four core business areas to track their progress up the digital maturity curve. The majority of utilities will be in the digitization stage for at least the next three to five years; however, the industry has made significant progress in the past decade (Figure 6). As a result of the 2004 implementation of the North American Electric Reliability Corporation Critical Infrastructure Protection (NERC-CIP) standard, cybersecurity has been a primary focus for utilities in their modernization efforts. It is not surprising that utilities have focused so heavily on modernizing their cybersecurity as they have digitized. No enterprise wants to be responsible for an operational systems breach that could create outages, damage equipment, or cause a national security crisis. The potential for negative national media attention caused by a data breach ensures that utilities are doubly incentivized to focus on cybersecurity. 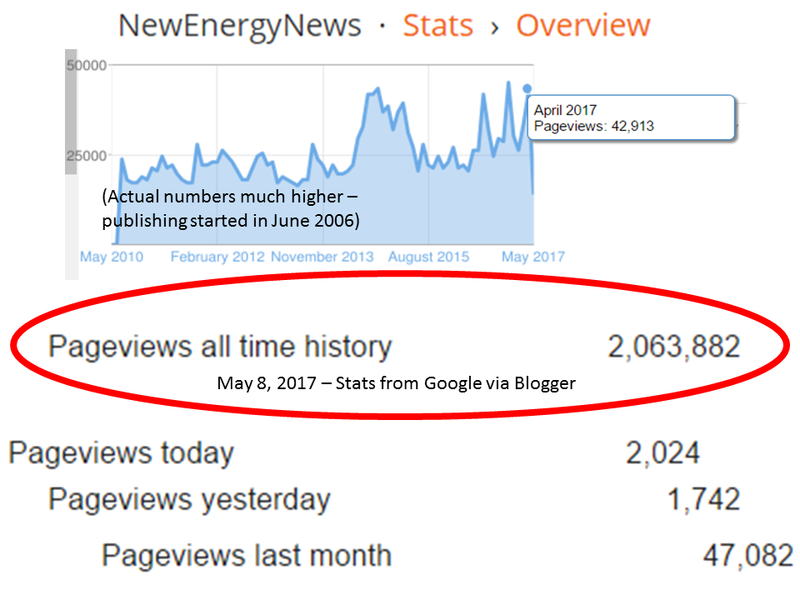 DERs have been a major focus in the industry over the past couple of years, so the lack of progress in digital integration is surprising; however, the regional variance in rooftop solar goes a long way in explaining why the majority of utilities are planning to tackle this challenge over the next decade (Figure 8). To become more responsive to customer demands for more control over their energy choice, utilities will need to focus on the deployment of software to better manage demand response (DR), electric vehicles (EVs), and DERs. 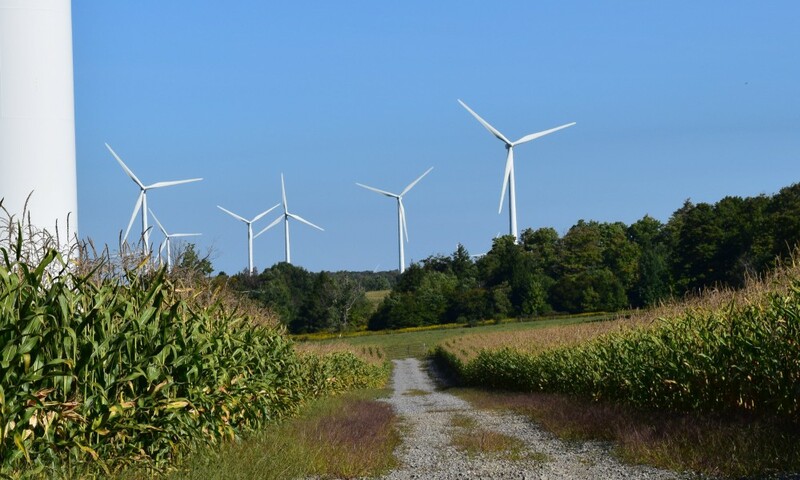 We expect that demand response management systems (DRM) and distributed energy management systems (DERMs) will be major areas of concentration for utilities as they look to modernize to meet customer demand for sustainable energy. 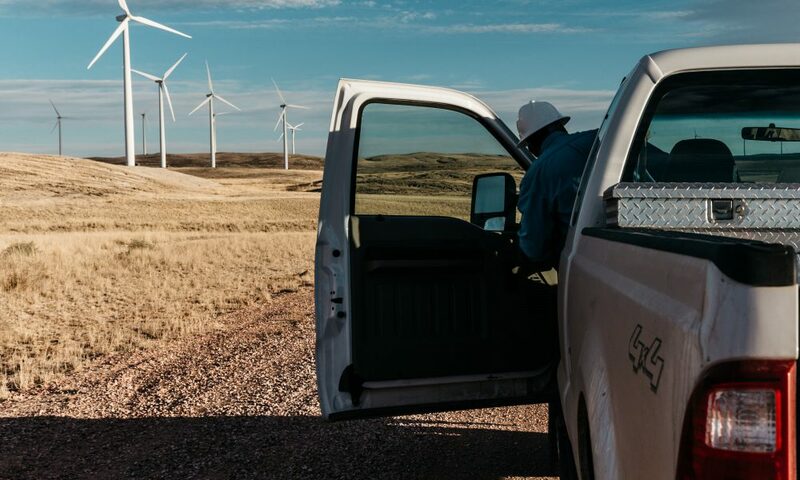 In addition to investments in asset modernization and software, utilities need to identify key management roles and digitize workforce management. Putting the right digital team in place can ensure that a roadmap is properly developed to solve business challenges and help spark a culture of innovation. After utilities have deployed sensors, software, and integrated communications networks throughout the grid, they will begin to experience the true benefits of digital maturity. Enterprise Integration is centered around optimizing digital processes and strategies to solve business challenges (Figure 9). 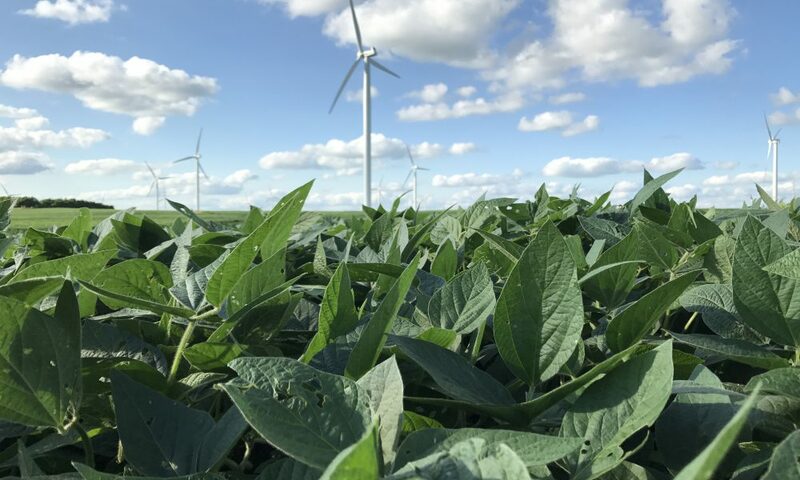 An enterprise-wide digital strategy has been implemented, and the management at a utility has been flattened and empowered to make data-driven decisions. A culture of innovation and collaboration is pervasive. AI and analytics are used to optimize the use of assets between and across supply chain participants. This leads to self-healing at the grid level. Predictive and prescriptive analytics are used in CAPEX and OPEX decision-making for just-in-time asset management. Automated AI and machine learning connect all IT systems to operational and customer-facing systems, creating a 360-degree view of the customer that optimizes delivery, digital communication, and customer experience. No utilities have reached the final stage of digital maturity, and even the most ambitious recognize that they are three to five years away from reaching this level of sophistication (Figure 10). However, some utilities are trying to lay the foundation for the transition through people and processes while investments in technologies play catch up. Organizational silos have been a hallmark of utilities for the past 70 years, but as utilities are increasingly focused on long-term financial stability, environmental stewardship, and positive societal impacts (“triple bottom line”), the need to break down silos is more imperative. From a technology perspective, this means using data, software, and AI to prescriptively solve business challenges. 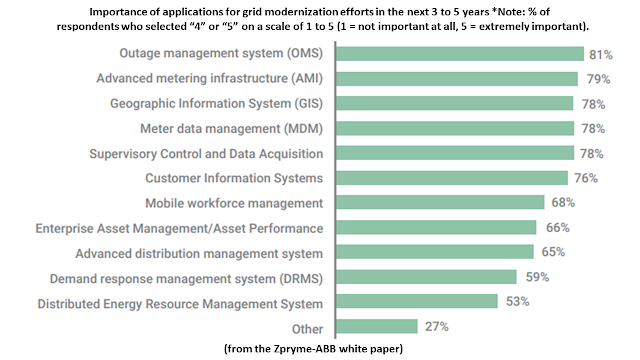 Becoming a digital utility will not be cheap (Figure 11), and after spending billions of dollars in the past decade on grid modernization, it is reasonable to question whether utilities have the capacity to modernize as quickly as they would like. But as more utilities deploy pilots of intelligent systems, AI, and communication networks, the ROI should become more apparent. Utilities must work with policymakers and regulators to ensure that they can earn a rate of return on future digital technology investments. Developing this new business model will require a culture of innovation. Utilities must simultaneously hire digitally minded professionals and retain experienced talent that knows how to operate an increasingly complex grid. As utilities look to the digital future, there is a growing recognition that they must go beyond just managing the flow of electrons and focus on engaging with increasingly savvy and demanding customers. 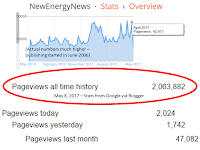 Capturing data from a variety of sources and analyzing it will allow utilities to create a 360-degree view of each customer. Such focus on the customer will permeate the culture of the future digital utility. 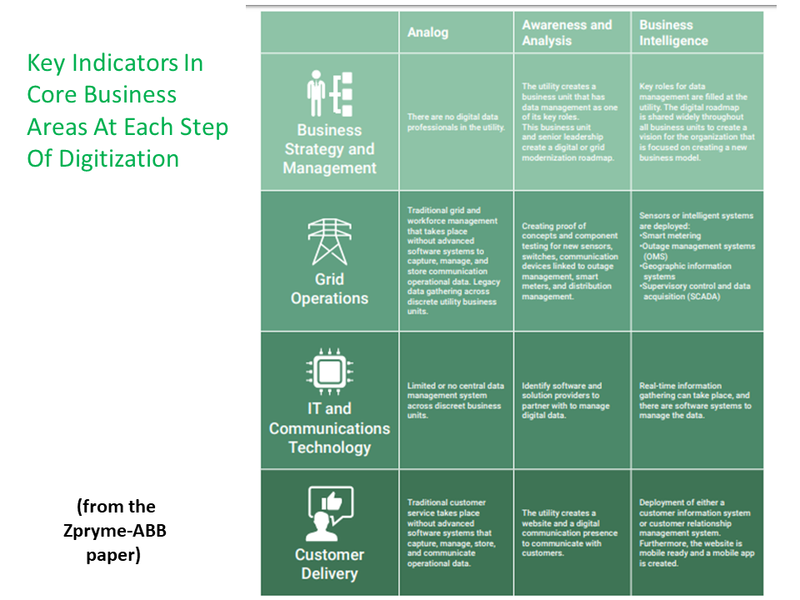 Analytics-driven outcomes at the grid edge will focus on how to both integrate DERs and maintain the reliable power that customers demand (Figure 12). A customer-centric utility with a digital infrastructure will be more reliable, even as the grid becomes more complex. Being operationally nimble in a time that requires a diversification beyond commodity power delivery toward a value-added services business model will serve utilities well as they look to ensure long-term financial success (Figure 13). 1. Hire digitally minded people and create a digital team that can help train existing staff and build a culture of innovation. 2. 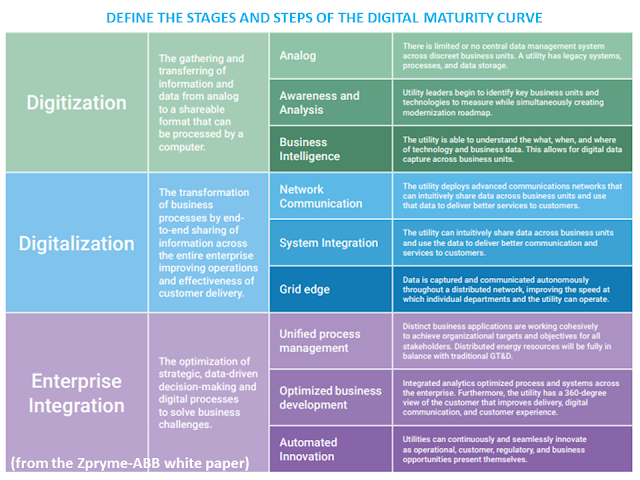 Develop a coordinated strategic road map that is centered on how moving up the digital maturity curve will lead to improved decision-making processes. 3. Use digitization and digitalization to take a portfolio-based approach to solving business challenges. This will allow a utility to invest in one or more use cases with the potential for strong ROI over a shorter period of time, and one or two use cases that are more strategic and require a longer time frame to see a return. 4. Address the data requirements up front internally and with key strategic partners.